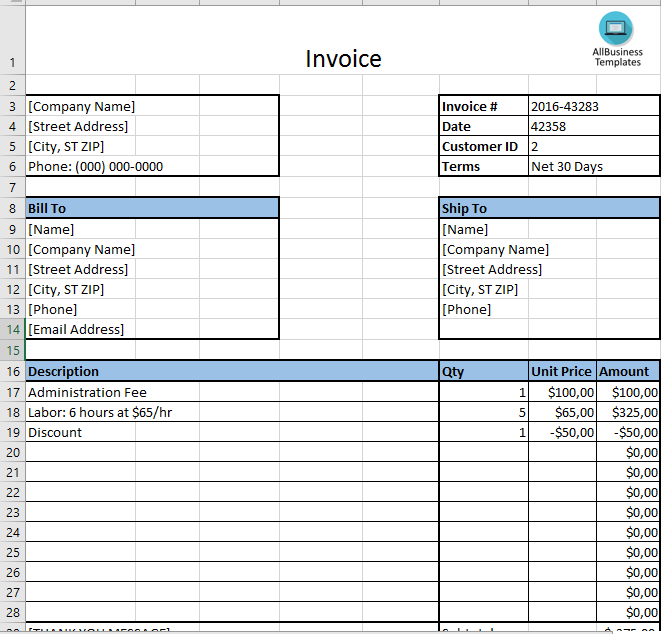 Are you searching for an invoice Excel template? Download this invoice template .xslx now! This Excel printable invoice file contains two easy to use invoice templates. Now you can easily and quickly make an invoice. This invoice template will help you establish confidence with your customers. What better approach to convince them than by using professional business documents? Feel free to check out one of these free invoice templates, lets you download and create professional-looking invoices instantly. Download this invoice template for your profession in whichever format you prefer .DOC, .XLS or .PDF (EXCEL including formulas and can calculate sums automatically) and then simply print and send it. Your clients will be wowed.